Last weekend I sat in the luxurious reception area of the Bellagio Hotel in Las Vegas. The velvet couch was red, not burgundy. The Chihuly art glass installed in the ceiling glistened with multicolored hues; they weren’t blue. However, the hotel smelled the same . . . eau d’expensive fragrance pumped throughout fifty thousand square feet of overindulgence. Two for three, apparently my memory grew a little faulty over the past ten years. Writers have a responsibility to readers. We need to get the facts right – even in fiction. When writing about actual places, nothing will stop a reader cold if you fake it. Including small details. My first manuscript takes place in far-a-way lands; ones I’ve actually visited. Easy for me to dust off maps and memories. I could hold ticket stubs and photos in my hands. And by closing my eyes, I could recount many details. I remembered the smell of hotdog carts stationed on New York City sidewalks. I saw the blue & white hand-painted tiles decorating buildings in Lisbon, Portugal. I tasted the velvety 20-year old Madeira wine on my tongue. Consequently, I could place my main character easily into these locations. And, if my memory failed, I had an abundance of resources to help me remember. The second manuscript is also an international romp, but it occurs in locales half unknown. They are foreign to me too. Which provides many difficulties. I don’t know what freshly baked bread smells like in Tangier – is it the same as Cairo? Does the Crianza wine in Valencia taste identical to Barcelona? 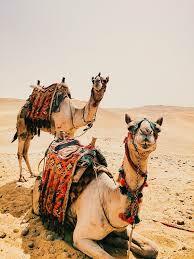 Does camel hair feel different from one continent to the next? At any point in my writing process, I have about thirty tabs open on my web browser. International travel scenes require scads of research. And since I don’t know these locations intimately or even vaguely, I have to work twice as hard to get it right. I need to guarantee readers an authentic experience. That’s my job. Writers – please don’t be lazy. Do your research. Don’t describe the DC metro stop at the Vietnam War Memorial – there’s no such thing (the nearest is about two miles). Also, don't surmise a wine tasting if you’ve never participated in one (don’t smell the cork, rookie). And Crikey, please don’t write in an accent unless you know the language (Zat ees bull sheet!). Fiction is relaying fact. We’re better writers when we write about experiences we’ve actually had. Total side note: this is why I think middle-aged people are better at storytelling. We just have more to rely on. Love, divorce, death, and yes, even travel. Sorry 20-year-olds . . . you’ll get there eventually. Now back to Vegas. 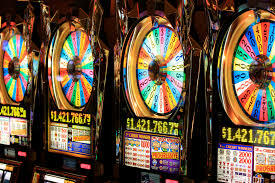 If you’re writing a modern-day story about slot machines, don’t describe how coins tumble out, clanking and falling unto the cigarette-burned carpet. They haven’t done that in over a decade. It’s all electronic. A receipt spits out at you. No, not as exciting, but true. I believe it’s much more fun (and educational) to experience experiences rather than sit in your office chair and research. So, if you have the wherewithal, step away from the keyboard and get out there. Smells and sounds just don’t travel well over the internet. Drink the wine. Eat the food. Listen to sounds. And take lots of pictures because you're bound to forget. I don't know that you have to get the minute details just right. In fiction, you get poetic license. John Grisham and CJ Box do it all the time, even to well-known locations. Hasn't stopped me from reading them. But with CJ, since I know Wyoming well (I live here), when he switches the locations of Laramie and Cheyenne, I'm like uh-uh, what? I'm not the only fan whose nailed him on it at readings. But he persists. It's that poetic license thing but I wish he'd quit when he doesn't disguise the cities' names. Craig Johnson (originator of the Walt Longmire series of books on which the Netflix series is based) has moved or embellished buildings in Cheyenne. It's okay. So if you say the couch in the Bellagio's lobby is red when it's really burgundy, so what? It's not going to turn me off. Even if I've been there recently. In historical fiction, I think you do need to get the details right for fashion styles and types of transportation, etc for the time period you write about. Poetic license comes into play here, too, but I will be turned off if you describe horse-drawn carriages when the de facto mode of transportation then were automobiles. Most readers use their imaginations to fill in the blanks. We use our past experiences to add to the writer's words. And if you change the name of a street in New York or move a street in Amsterdam, I'm not going to know. I haven't been to either place and I'm not going to go to the trouble of looking it up. Even if I've been there, maybe I'll notice and maybe I won't. If the story's good, I won't really care. This is wonderful advice for when you're writing about real places. It's one of the reasons I like to use a fictitious town name, even if setting is modeled on a real place. The freedom to mess with the geography and layout makes the writing more fun.